Ken Clarke needs no introduction. One of the genuine ‘Big Beasts’ of the political scene, during his forty-six years as the Member of Parliament for Rushcliffe in Nottinghamshire he has been at the very heart of government under three prime ministers. He is a political obsessive with a personal hinterland, as well known as a Tory Wet with Europhile views as for his love of cricket, Nottingham Forest Football Club and jazz. 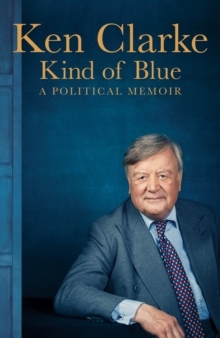 In Kind of Blue, Clarke charts his remarkable progress from working-class scholarship boy in Nottinghamshire to high political office and the upper echelons of both his party and of government. But Clarke is not a straightforward Conservative politician. His position on the left of the party often led Margaret Thatcher to question his true blue credentials and his passionate commitment to the European project has led many fellow Conservatives to regard him with suspicion – and cost him the leadership on no less than three occasions. Clarke has had a ringside seat in British politics for four decades and his trenchant observations and candid account of life both in and out of government will enthral readers of all political persuasions. Vivid, witty and forthright, and taking its title not only from his politics but from his beloved Miles Davis, Kind of Blue is political memoir at its very best.